Nordheimer Piano & Music Co.
W.O. Forsyth was a Canadian composer and teacher. He spent most of his life in Toronto, Ontario, where he taught piano and theory at the Toronto College of Music (1889-94, 1924-1937). He was also the director of the Metropolitan School of Music (1895-1912), and taught at Upper Canada College, several ladies' colleges in Toronto, Hamilton College of Music, and the Canadian Academy of Music (1919-1924). 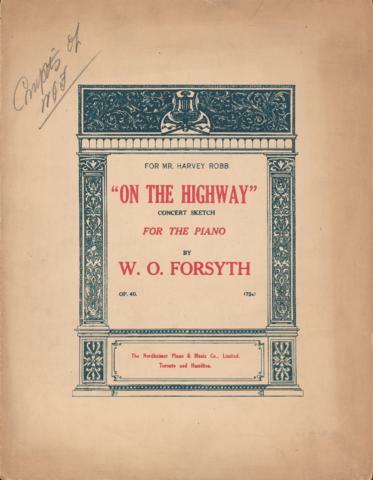 Most of his compositions, excluding those he wrote as a student, were short piano pieces and songs.